Leading Irish off road cyclist David Conroy has gotten his racing stint in Belgium off to a testing start in the snow. The Scott-Eurocycles rider is abroad for European racing to prepare for the World Cyclocross Championships in the New Year. 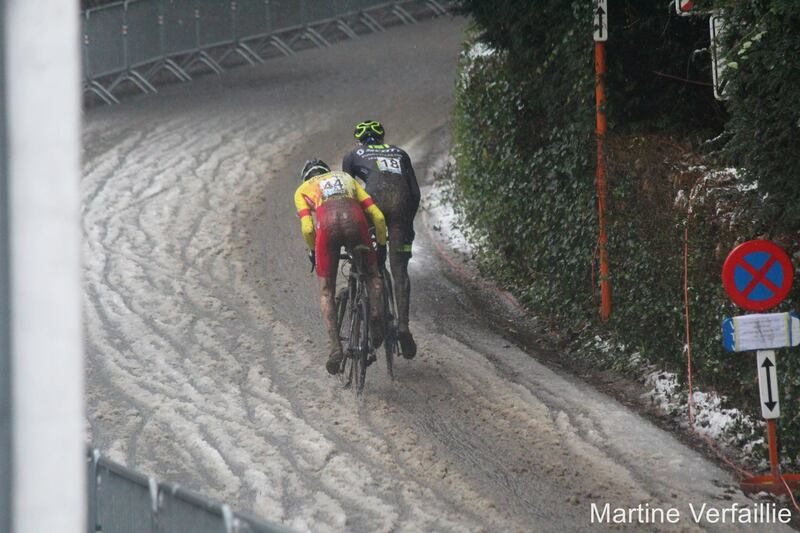 Yesterday he rode the Vlaamse Druivencross (UCI C1) race in Overijse. 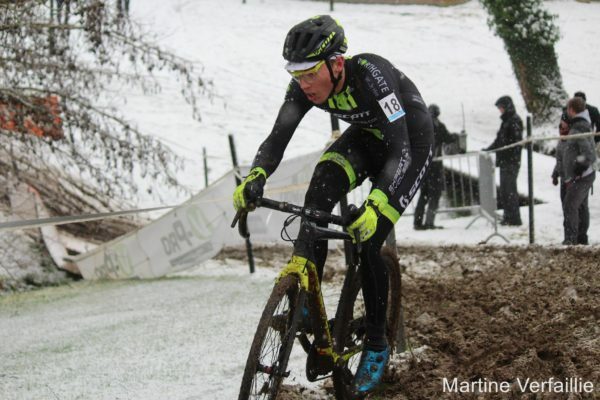 With the riders hit by snow, and the resulting thick mud, Conroy got away from the start strongly. He rode in the top 10 for a period. But as the race progressed the mud began causing him problems. It clogged his pedals and, as he runs a lot of tension in his pedals, the problem undermined his performance, he said. He fought on but would lose his place close to the front. And he eventually finished 24th in the UCI U23 race. The elite event was won by Mathieu van der Poel (Beobank-Corendon). 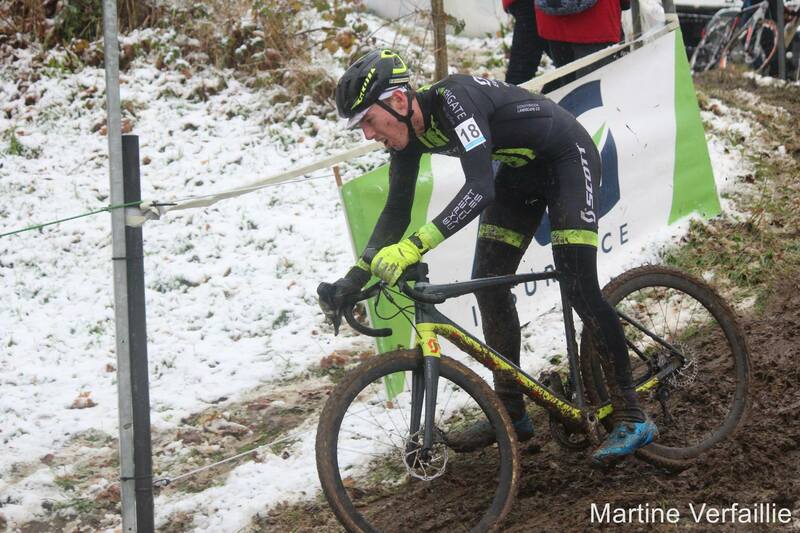 On Saturday Conroy limbered up for yesterday’s main event of the weekend by riding the DVV Trofee in Essen. He was held up by a number of crashes before crashing himself with another rider. He suffered damage to his bike and pulled out with an eye on Sunday. Conroy, who won the final round of the Fixx Series last month, has been in Belgium just over a week now. He is staying in Moorslede, West Flanders. He is being hosted by Martine Verfaillie. She has hosted a large number of Irish cyclists in recent seasons so they can race, mainly on the road, in Belgium. She has worked closely in that regard with The Belgian Project, headed by Dany Blondeel. David Conroy will race in Belgium under the Worlds in February. They are being held in Valkenburg, Holland.